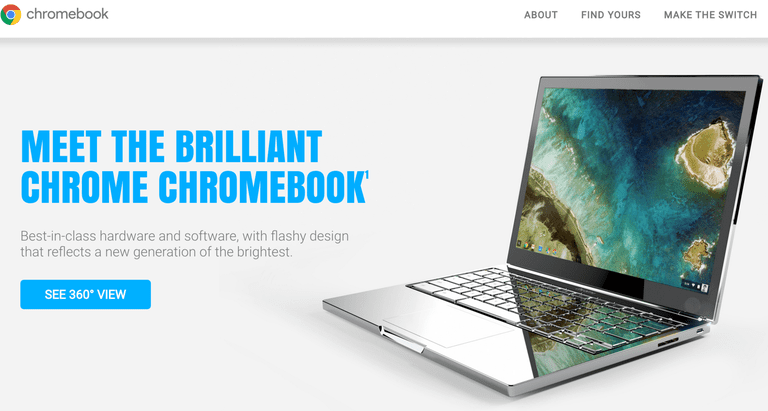 This tutorial is only intended for users running Chrome OS. The layout of a Chromebook keyboard is similar to that of a Windows laptop, with some notable exceptions such as a Search key in place of Caps Lock as well as the omission of function keys across the top. The underlying settings behind the Chrome OS keyboard can be tweaked to your liking in a number of different ways, including enabling the aforementioned functions, as well as assigning custom behaviors to some of the specialty keys. If your Chrome browser is already open, click on the Chrome menu button -- represented by three horizontal lines and located in the upper right-hand corner of your browser window. When the drop-down menu appears, click on Settings. If your Chrome browser is not already open, the Settings interface can also be accessed via Chrome's taskbar menu, located in the lower right-hand corner of your screen. Chrome's Settings interface should now be displayed. Locate the Device section and select the button labeled Keyboard settings. Chrome OS's Keyboard settings window should now be displayed. The first section contains three options, each accompanied by a drop-down menu, labeled Search, Ctrl, and Alt. These options dictate the action tied to each of these keys. The functionality sets assigned to each of these three keys are interchangeable. In addition, Chrome OS offers the ability to disable one or more of the three as well as configure each as a secondary Escape key. Lastly, the Search key can be redesignated as Caps Lock. On many keyboards, the top row of keys is reserved for the function keys (F1, F2, etc.). On a Chromebook, these keys natively serve as shortcut keys for a number of different actions such as raising and lowering volume and refreshing the active Web page. These shortcut keys can be reassigned to act as traditional function keys by placing a checkmark next to the Treat top-row keys as function keys option, located in the Keyboard settings window. While function keys are enabled, you can toggle between shortcut and function behavior by holding down the Search key, as detailed directly below this option. Enabled by default, the auto-repeat functionality instructs your Chromebook to repeat the key that is held down multiple times until you let go. This is standard for most keyboards but can be disabled by clicking on the Enable auto-repeat option -- found on the Keyboard settings window -- and removing its accompanying check mark. The sliders found directly below this option allow you to specify how long the delay is before repeating each key press when held down, as well as the repeat rate itself (slow to fast).